Japanese artisans are living testaments to historical Japan as the methods used to create their work have remained unchanged for centuries. By featuring them here we hope to re-ignite interest in them and their work so that these artisans will once again flourish and their traditions will live on. Traditional Japanese handcrafts have developed with the foremost objective being to express gratitude for the blessings of nature such as wood, bamboo, stone or rock, cotton, and silk, which are used in their production. It is truly outstanding and unique art in the sense that these natural materials are consumed to the fullest without wasting the tiniest piece. We hope that by learning about the traditional techniques used by these artisans you may gain some insights into Japanese culture. And perhaps you may also discover something beautiful and delightful that you never knew existed. 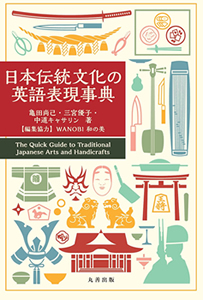 The Quick Guide to Traditional Japanese Arts and Handicrafts Japan has many examples of tangible and intangible cultural heritage registered with UNESCO. The Japan Tourism Agency figures show that the number of visitors to Japan is increasing year on year. In addition to sightseeing, we hope that visitors will take a step further to knowledge and understanding of Japan during their stay. I hope that this website, Japan-artisans.com, becomes well known internationally and consequently highlights these artisans. Furthermore, I hope that WANOBI’s website becomes a gateway to traditional Japanese culture. It is said that Japanese people generally do not have strong personalities as we put a great value in unity. However, the artisans featured in WANOBI possess a strong desire to express their passions. We would like you to feel this difference through our website. This is an invaluable opportunity to step into a new world which we don’t normally come across in the course of our daily lives. It is also a way to seek out our cultural identity as Japanese. Through the WANOBI project I have been able to meet some wonderful like-minded people and art patrons who want to promote these outstanding Japanese artisans. I truly enjoy working with them. The WANOBI project has given me the extraordinary opportunity to go deep into Japanese culture and to not only learn about Japanese artisans but also to actually meet the artisans engaged in keeping this culture alive. I hope this website gives many people the chance to experience the same as I have. I was able to meet non-Japanese people who are interested in Japanese culture, and it has made me realize how little I know about my own country.